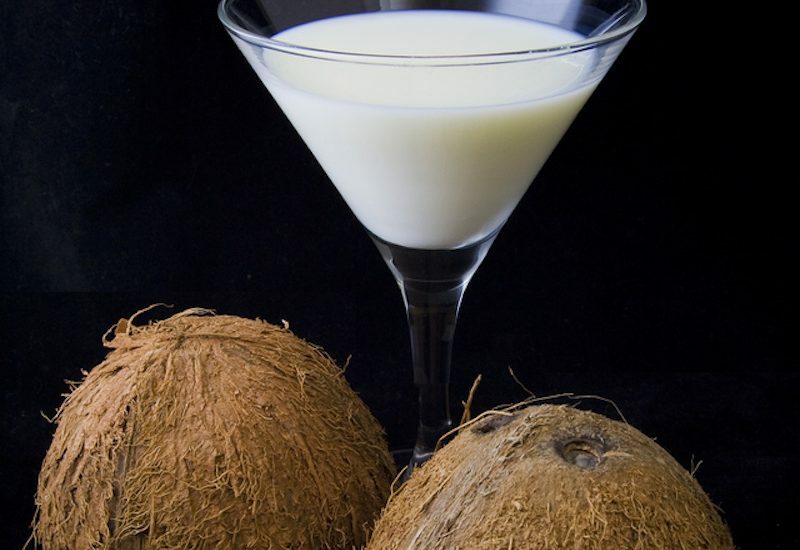 Coconut milk, which is made by soaking grated coconut in water, is sold in cans or frozen in well stocked grocery stores. Use unsweetened desiccated or dried, coconut for the buttercream and for decorating the sides of the cake. To toast dried coconut, spread on a baking pan lined with parchment paper or baking paper and toast in 180 C or 350 F oven for about 3 minutes.